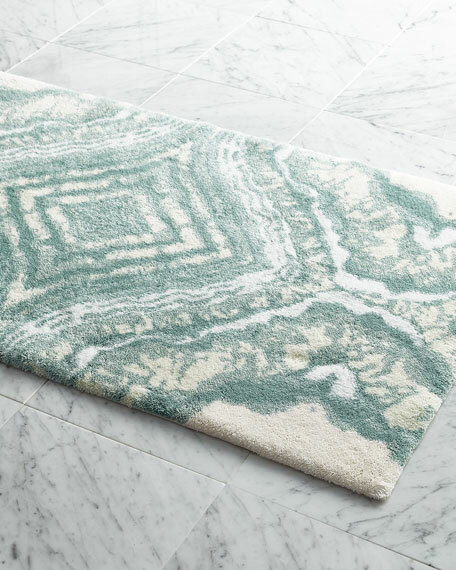 Thick-pile bath rugs with white center and colored border.Available in, listed front to back, Denim (featured), Ivory, Light Green, Linen, Aqua, Atmosphere (gray), or Gold. 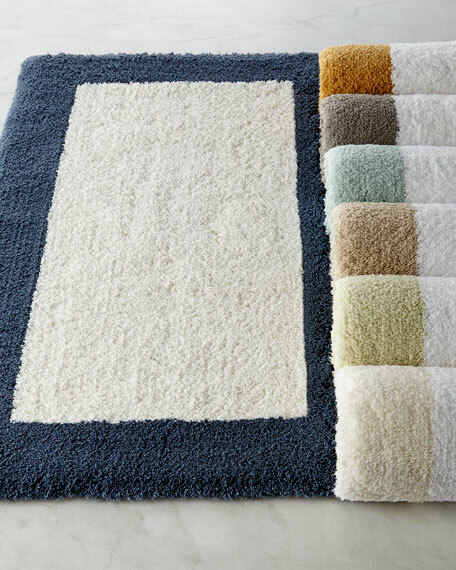 Made in Portugal of cotton.Machine wash.
Thick-pile bath rug with white center and colored border.Available in, listed front to back, Denim (featured), Ivory, Light Green, Linen, Aqua, Atmosphere (gray), or Gold. 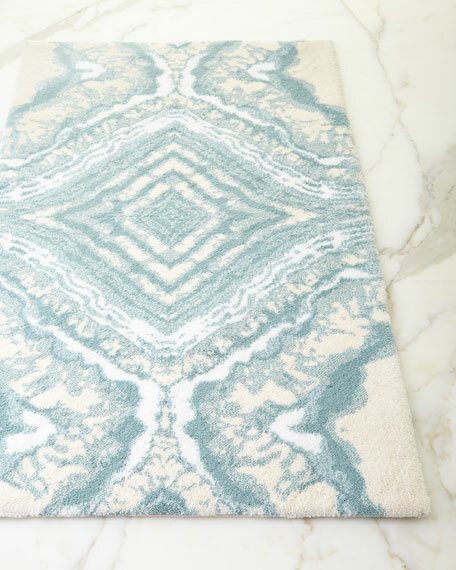 Made in Portugal of cotton.Machine wash. 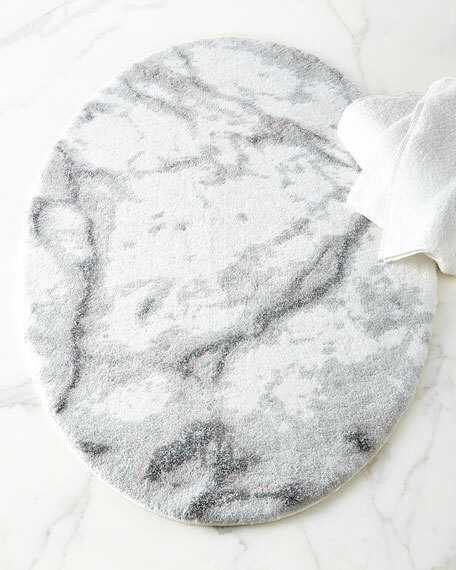 Oval bath rug patterned with grays on white for the look of marble.Made of cotton, acrylic, and Lurex® metallic.Approximately 29" x 49".Machine wash.Made in Portugal.